A recent player survey at Slotland.com shows that online slot machine players may have regional preferences, but they also have universal favourites. While some games are more popular in America and others in Europe or Asia or Australia, one in particular is a favourite with players around the world. 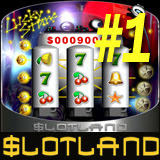 “Lucky Stars” is Slotland.com’s most popular mobile game with customers everywhere. Analysts may not always know why people choose one game over another, but there are a few things that can be quantified. It seems that the “Booster”, a three-wheel, single-payline slot machine where you can “boost” your bet, is more popular with American players than in Britain where “fruit machine” players seem to prefer more classic slot machines like the “Golden 8”, a 9-wheel 8-payline slot machine that features the largest slot wheels ever on the Internet. Although there are slot machines in every Pachinko parlour in Japan and the casinos in Macau are adding them as fast as they can, Asian players still tend to play video poker more than slots. So far about a third of Slotland.com players play on both their computer and their mobile phone. Since Slotland is continually adding new games to its mobile suite (“Striking 7s” mobile launched just last month) that’s one statistic that’s likely to change. Neteller is another global preference. Although Slotland.com offers other banking options, players everywhere use Neteller more than the others, especially now that the Neteller Card enables almost instant withdrawals at ATMs around the world. With nine unique slot machines and video poker games on their web site and now four also available on mobile phones and PDAs, Slotland.com is one of the most innovative and trustworthy online casinos in the world.